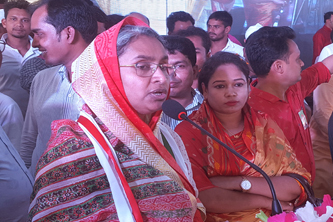 Education Minister Dr Dipu Moni has called for developing a sense of patriotism among students so that they can build an economically advanced nation, reported BSS. “Students should be taught moral education to build them as worthy citizens side by side with doing brilliant results in the examinations,” she told a function at Shariatpur Government College. Dr. Dipu further added that action would be taken against the teachers who would be found involve with coaching business. She urged the teachers to perform their duties with utmost sincerity and invest more time in classroom for ensuring good academic atmosphere in educational institutions, adding that despite numerous challenges, the country made remarkable progress in education sector. Principal of the college Prof md Monwar Hossain presided over the function.